and thanks Rian for providing the inspiration to me to recount my memoirs. About the Author on the ‘Writing Journey’: Craig Lock is an author of numerous books and the creator of the ORIGINAL online creative writing course. He has been writing full-time for the past “lucky” seven years. Craig has had five books published on various subjects with another 12 manuscripts being published and marketed on the Internet. The year 2000 * Updated in August 2011 About the Author on the ‘Writing Journey’: “I ‘work’ with ideas…and words are my tools.” “I write because I simply HAVE to” “Writers help readers to see the world differently.” “I write because something inside myself, inner and unconscious forces me to. That is the first compulsion. The second is one of ethical and moral duty.” “I write about and believe in the resilience of humanity- I truly believe in the triumph of the human spirit.” “I really value words and the power of them to communicate effectively; so in my various stories try to illustrate and then let readers draw their own conclusions about a certain scenario, as well as the characters searching for their own values in an increasingly complex social and political landscape. However, I do feel an obligation to give a complete picture of the situation, which is often not a clear-cut ‘black or white’ issue (as in South Africa). I never want to proscribe how people should think and feel my only duty as a writer is to be totally honest.”- craig “I love to write about, share stories of the resilience and courage of ordinary (what’s that?) people.” In his various writings Craig strives in some small way to break down and economic, social, cultural and religious barriers. Craig believes that whilst we should celebrate our differences, what we share in the form of our common humanity is way more important than what divides us. Craig believes in (and loves) sharing information and insights to try to make some difference in this world: to help and especially encourage people along life’s magical journey to live their dreams and be all they can be… and that brings him the greatest joy. He truly believes in the great potential of people to be all they can be an become. Craig is currently “working” on ‘Endless Possibilities, Far and Great Horizons’ – true inspiring stories of the human condition in overcoming seemingly impossible odds. In his life mission Craig hopes to encourage, motivate and inspire people to be their best through realising their full potentials and live their very best lives. Craig believes in the great potential of every human being in the journey of life and loves to encourage people to share their individual (and guiding) spirits, so that they become all that they are CAPABLE of being. 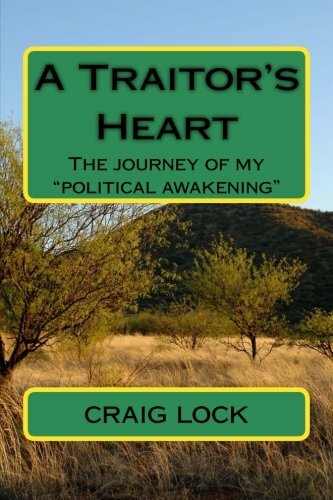 The various books* that Craig “felt inspired to write” are available at: http://www.amazon.com/-/e/B005GGMAW4 http://www.amazon.com/s/ref=la_B005GGMAW4_sr?rh=i:books&field-author=Craig+Lock&sort=relevance&ie=UTF8&qid http://goo.gl/vTpjk and http://www.creativekiwis.com/amazon.html Hard-copies and e-books, fiction and nonfiction: self help, novels, travel, humour, writing, inspiration and money management “Together, one mind, one life at a time, let’s see how many people we can impact, empower, uplift and encourage to reach their fullest potentials. Reblogged this on Craig’s Books.